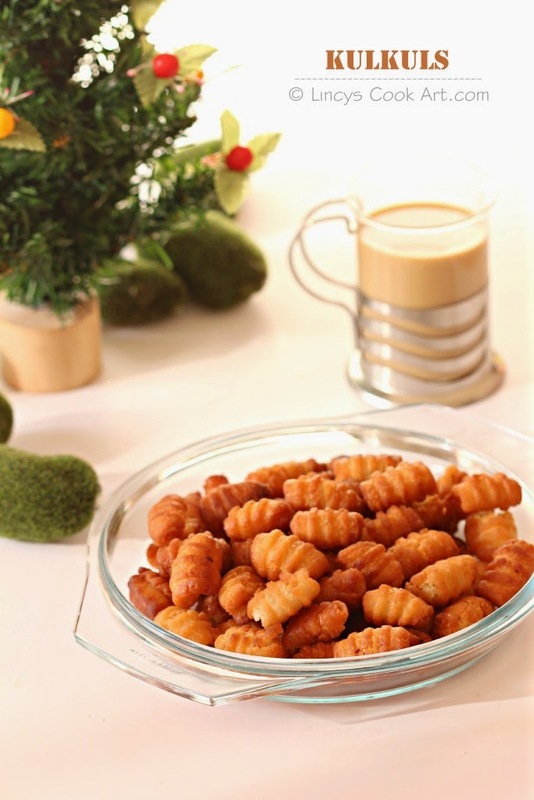 Kulkuls is a Goan sweet sugar glazed curls prepared during Christmas and New year. Looks similar to miniature gnocchi. These are easy to make sweet or snack item apart from the rolling process. The shaping takes about half an hour for this much quantity. Otherwise super easy to make and a delicious snack or sweet too. I felt the taste and the texture is in between like sweet Diamond cuts and the Vettu cake. I loved the crunchy tasty Christmas snack. Perfect item to share with neighbors at this festive season. Otherwise can be prepared for a perfect tea time snack. Powder the sugar in a blender jar; set aside. Take half a cup of coconut and add half a cup of warm water and grind well in a blender and extract the coconut milk around half a cup or little more; set aside. In a broad bowl add the all purpose flour, powdered sugar, salt, baking powder (optional) together and add the softened butter and rub with the flour and sugar mixture with hands. Then add the extracted coconut milk and mix well to make a dough. If you feel its dry to make a dough. Sprinkle little water and and knead well to make as a dough. The should not be sticky if you roll a piece of dough from that. Take a chickpea size dough and roll inside the palm to make it a smooth ball. Keep teh ball of dough on to the backside of the fork and gently spread the dough from one end to other almost like a rectangle shape. Then roll the dough from back side of the fork to the tip of the fork by gntly with out disturbing the impressions of the fork. The ends should join while rolling otherwise it will open once you fry them. Keep the rolled curls on a plate. Like wise do for the rest of the dough. Heat oil in a pan and drop the curls one by one and depp fry them on medium to low flame till golden brown colour. Dust it with icing/ powdered sugar or coat them in sugar syrup or serve as such. Thanks for the recipe. 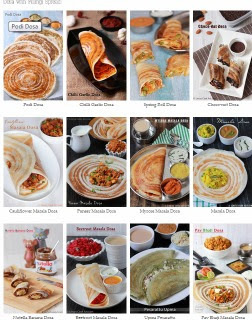 Other than cakes and cookies i dont know much about christmas recipes. This is new to me and interesting too. I love your stepwise pictures. It should be easy to follow the rolling process. Super recipe..Love those impressions made by the fork..